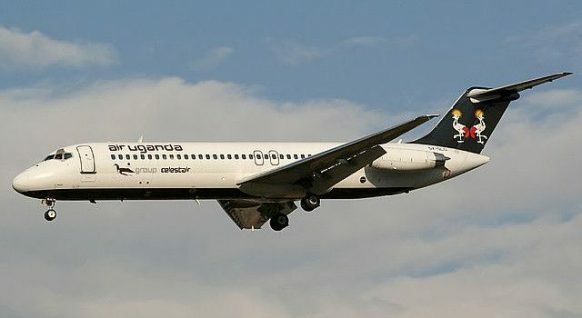 The Civil Aviation Authority (CAA) which is the main regulator and developer of Air transport in Uganda that forms a considerable component with in the tourism sector in terms of facilitating Uganda safari undertakers has come up with a 20 year master plan that will see the country establish four more International Airports, three regional Airports and six local Airport along with Entebbe International Airport expansion which will in turn ensure the smooth travel of travelers on Uganda safaris and tours. Uganda which apparently has only one International Airport namely Entebbe is seeing this plan as a perfect move through which the country’s Air infrastructure can be expanded to accommodate the increasing demand and enhance the International, regional and domestic travel including attracting travellers to plan safari tours to Uganda. The proposed International Airport projects according to National Civil Aviation Master Plan (CAMP) include; Pakuba, Arua, Kasese and Hoima where as regional Airports include Kotido, Soroti and Gulu. The local Airports will include; Tororo, Jinja, Lira, Moroto, Kisoro and Mbarara. These local projects will easily facilitate the transfer of flying Uganda safari tour undertakers to various destinations of their interest across Uganda saving them long distance drives. The Projects which are estimated to cost $255 million (approximately 7.3 trillion Uganda shillings) are spread over 20 year period. If this master plan is well implemented, it would probably spur the tourism revenues and the economy in general attracting $3billion (approximately Shs. 8.6 trillion) by the year 2033. The movement of Aircraft and cargo are also anticipated to follow the same trend from 43,000 to 124,000 movements and from 56,000 tonnes to 172,000 tonnes respectively. The Entebbe International Airport which is apparently the main entry point for Uganda usually used by travelers on safaris and tours in Uganda was last renovated in 2007 to include the Very Very Important People (VVIP) lounge and the domestic passenger terminal is to be further expanded to include the terminal expansion, mulit-storey car park, cargo area, fuel farm among other attempts. However the proposed developments included new cargo center construction and relocation of United Nations base terminal would definitely require more which will put Namiiro swamp at the risk of encroachment. Prime Uganda safaris & Tours Ltd safari News.